It may be surprising on the face of things that the Czech firm hasn’t gone for a total overhaul, considering the availability of the new platform, but this generation of Fabia has only been around since 2015 — so it’s not exactly outdated just yet. Can a bit of nip and tuck justify be justified, though? 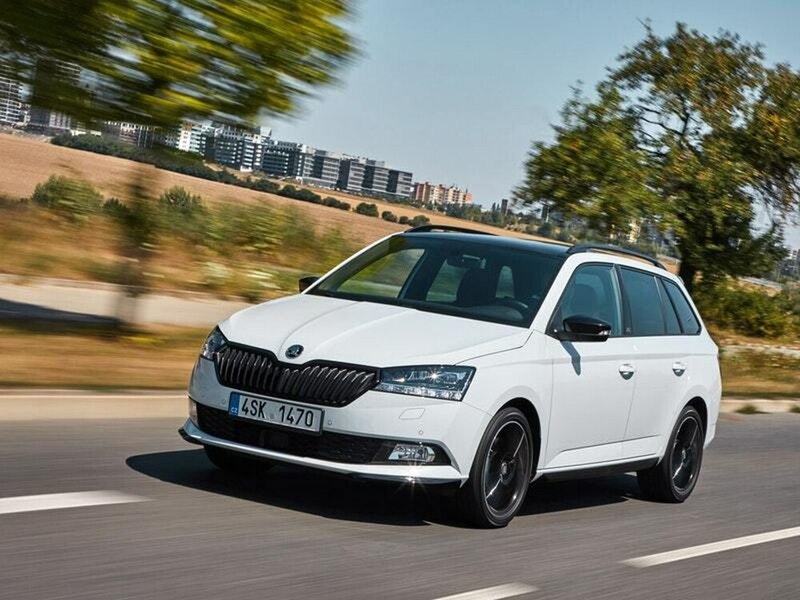 As far as facelifts go, the new Skoda Fabia pretty much meets the definition — minor changes to an already existing model. Don’t expect a revolution here, but that’s not to say there hasn’t been some notable changes. A tweaked look comes thanks to new headlights, a larger grille and a fettled bumper, with LED daytime running lights now a standard feature. New dashboard trims bring a new lease of life to the cabin, while more assistance tech makes this the safest Fabia to date. As for engines, there’s been little in the way of change — although the line-up now consists exclusively of petrol units, with three set to be offered in the UK. On paper, it doesn’t sound particularly fast — in fact, incredibly slow — but in reality, it’s quite spritely. Ok, we’re not suggesting it’ll give you a fright when you put your foot down, but there’s certainly enough go to have some fun with — and it’s definitely more than up to the job if you plan on using the car for getting around town. 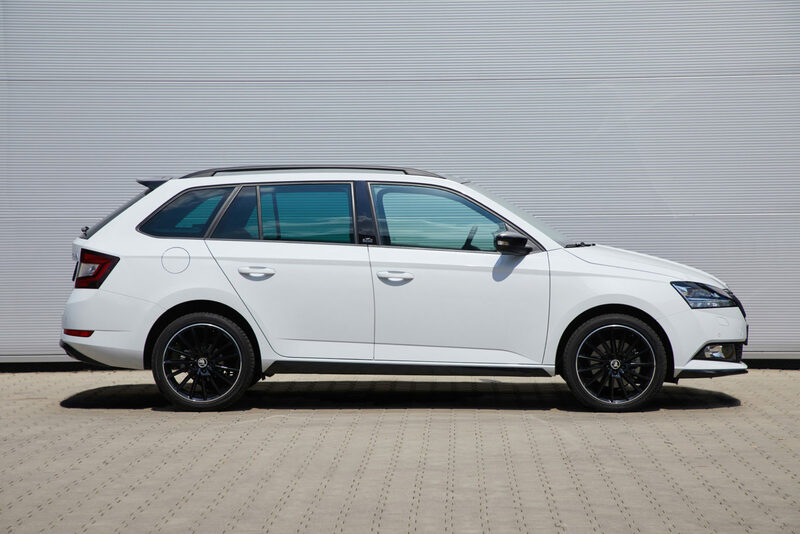 Nothing has really changed in the way the Fabia drives, which means it’s still a pleasant experience behind the wheel. It’s well suited for the town, thanks to light-but-not-overly so steering paired up with good all-round visibility, while the addition of a parking camera to our test car just made it that little bit easier to pinpoint. Take it out on a B road, and it’s not the most dynamic of machinery — but by no means bad. It’s not quite as fun as rivals like the Ford Fiesta or Suzuki Swift when things get a little bit tighter, but it handles well and doesn’t roll around a huge amount. Although the updated Skoda Fabia looks largely the same as before, a little bit of nip and tuck has given the aesthetic a new lease of life. 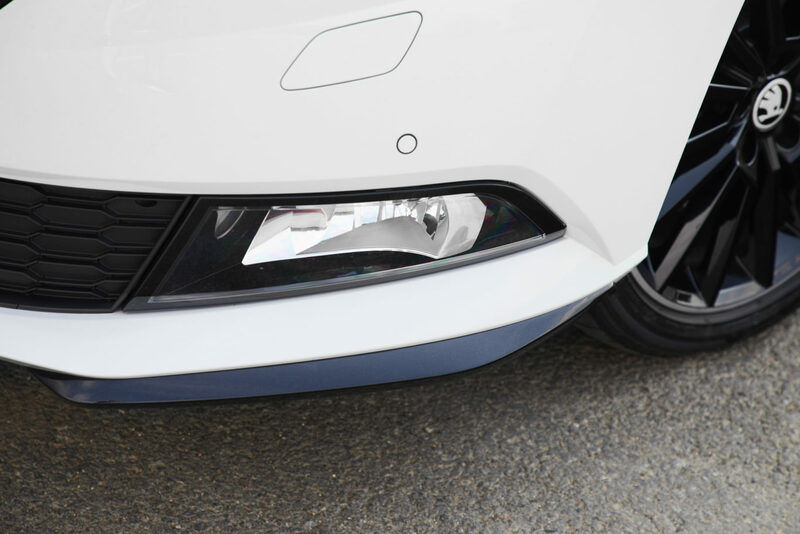 Revised headlights, combined with a larger grille, give it a little more presence on the road and even creates a mini Superb-like look. LED daytime running lights as standard also means the whole range looks more premium than before. LED rear lights now feature on the options list, but it’s hard to see much difference than before without them. The Skoda Fabia benefits from some new dashboard trims with this facelift, which keeps it up to date. Despite its relatively low price point, it doesn’t feel particularly cheap to be in and it’s genuinely quite pleasant. Monte Carlo trims brings sports seats and carbon-effect finishers, and while we like the former, the latter doesn’t really do much more than cheapen the interior. 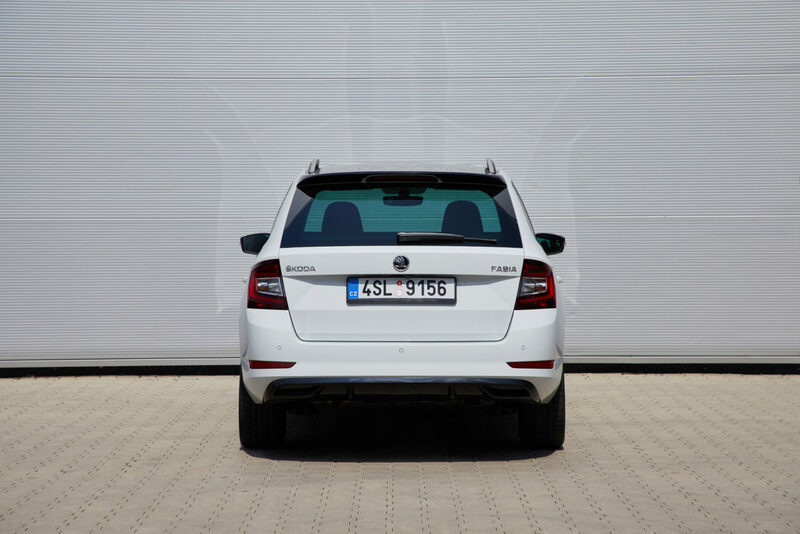 As for space, our estate test car offers 530 litres of boot space — although rivals don’t come with such a body option. The hatch can store 330 litres of luggage with all seats in place — boasting more than the Ford Fiesta’s 292 litres, although less than the Seat Ibiza’s 355 litres. 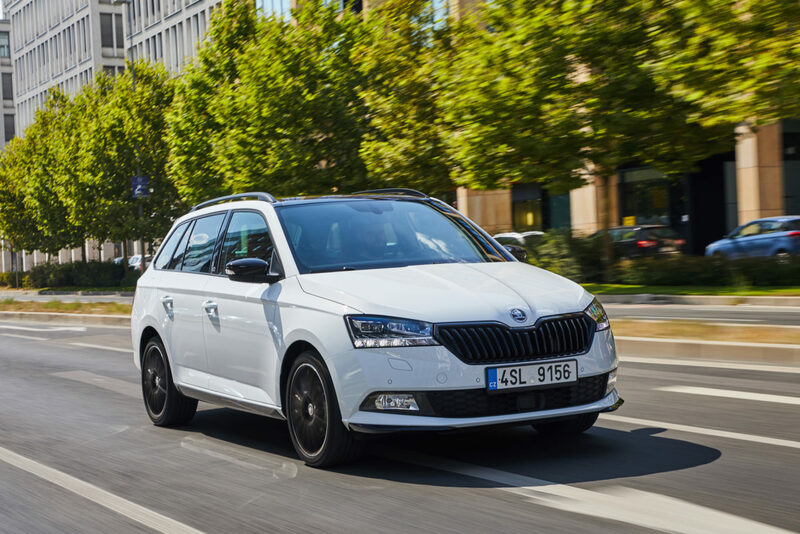 Keeping in line with usual facelift formalities, the updated Skoda Fabia gains more tech as standard — with more also joining the options list. Every car now gets LED daytime running lights for no extra cost, while autonomous emergency braking also comes as part of the package. 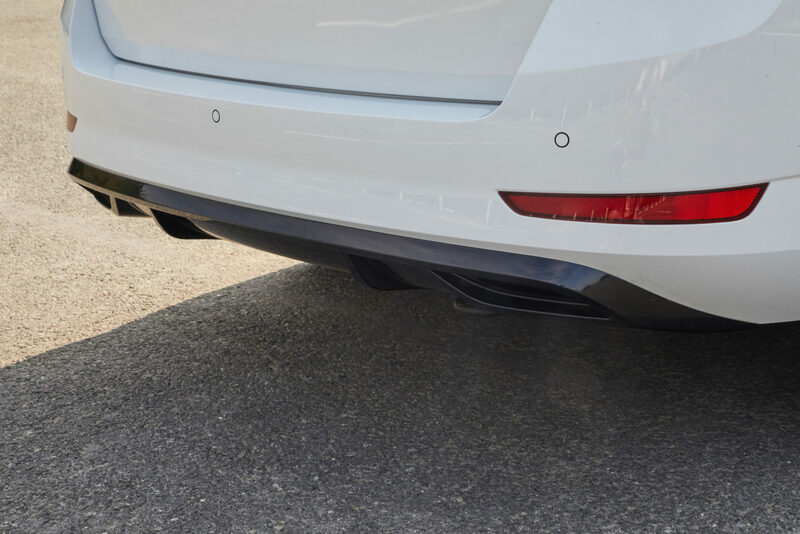 Monte Carlo trim cars, as tested here, get climate control, LED rear lights and electric rear windows — along with styling upgrades in the form of a black-painted front spoiler, roof and matching floor mats. For its £17,670 starting price, we think the Monte Carlo trim offers some pretty serious value for money — although those wanting to spend a little less wouldn’t be going wrong regardless of the trim. With the range starting at £12,840, the Skoda Fabia might just be one of the best bargains on the market. 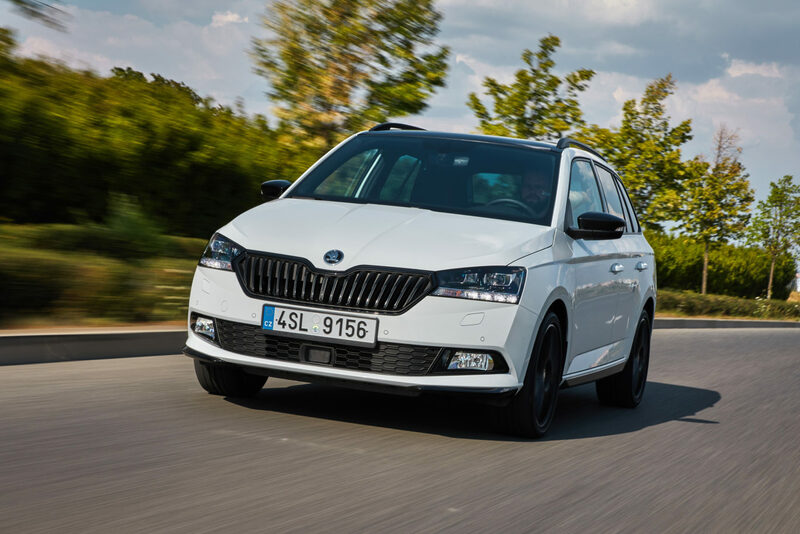 The updated Skoda Fabia is a facelift in its truest form — bringing minor touches and tweaks to a car that’s recognizable to a point you’d likely struggle to notice a difference unless you were told. That’s no bad thing in this case, with the compact machine still proving that it has a lot to give despite the recent total refresh many rivals have gone for. It may not offer the most engaging of driving experiences, but as a daily machine, it’s definitely one of the best-valued packages in its segment.